The Lil Divas are picky eaters but they love to snack. They definitely have my sweet tooth but fortunately, they also love fruits. We keep our refrigerator well stocked with fruits that are always in easy reach. When the Lil Divas get hit with the need for something sweet or just crave a snack, I encourage them to grab some fruit and munch. Even with the Lil Divas being fruit lovers, I do get the occasional groans when they want candy, chocolate or potato chips instead of the suggested fruit. To counter that, I usually whip up something fun and cute from the fruit. This makes it fun, enticing and entertaining and usually the groans and complaints for junk food are forgotten. (inspired by Lil Snappers kid sized fruit). The Lil Divas enjoyed helping me make these snacks. 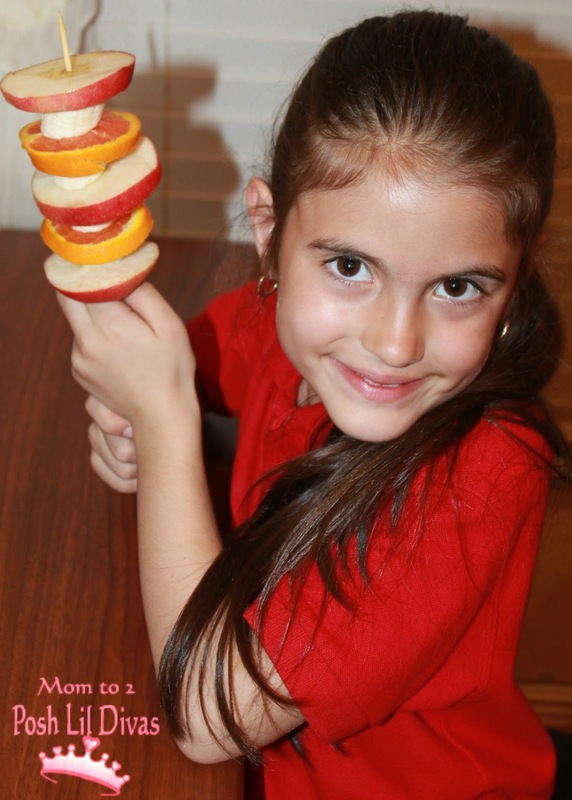 It is a great way to have kids help in the kitchen and make snacks that they can enjoy or the that the entire family can eat together. 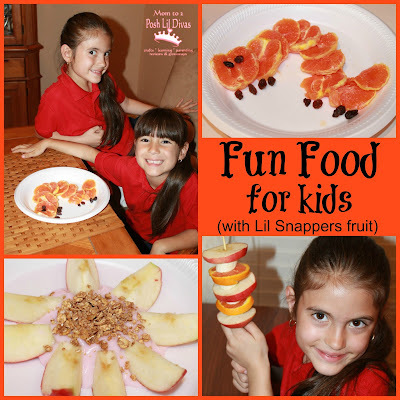 We used Lil Snappers fruit for all our recipes. They are kid-sized fruits packaged in convenient stand-up, re-sealable bags which allow for easy access and stay fresh storage. The Lil Divas love that they are perfectly sized for their little hands. 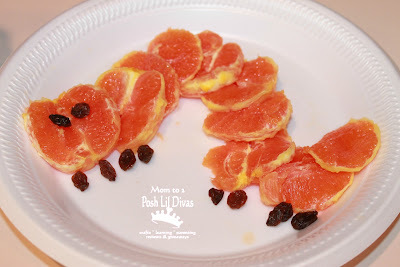 As soon as the Lil Divas saw the adorable Orange Caterpillar recipe, they insisted it had to be one of the snacks we reproduced and tried at home. We decided to use the Cara Cara orange which we had never tried before. It is a hybrid of a grapefruit and a tangerine and has a pink tinted interior. Have you tried them before? They have a very sweet flavor which we all really enjoyed and I was especially pleased to find that they provide over 100% of daily Vitamin C requirements in just one orange. They are actually known as the "power orange". The cute snack was a hit with both the Lil Divas. The Oldest Diva especially enjoyed its sweet taste and juciness. I think she may have eaten most of the bag on her own. One of our favorite fruits is definitely the apple. We eat them almost daily. 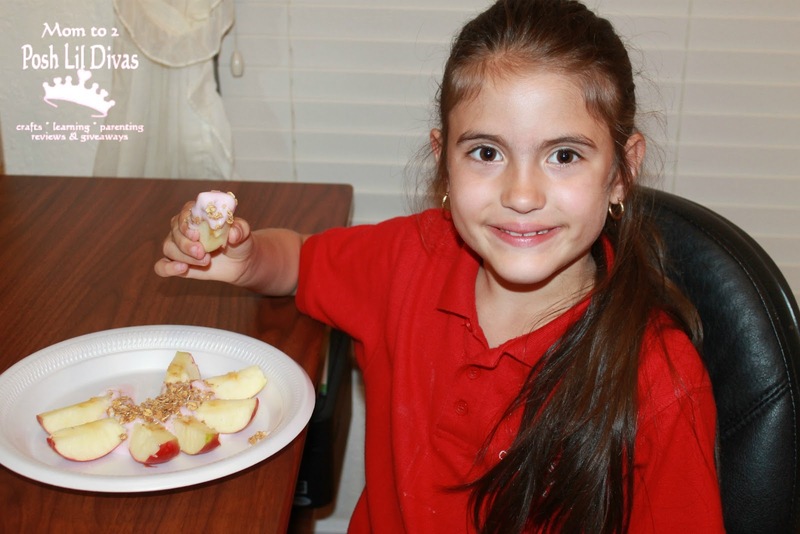 So when we saw the Apple Blossom recipe, we all agreed that we had to try it. We used Pink lady apples in our recipe. The Lil Divas got such a kick out of seeing a pink apple. We had never seen these in person before. They are crisp, sweet and just a little tart which we all enjoyed. 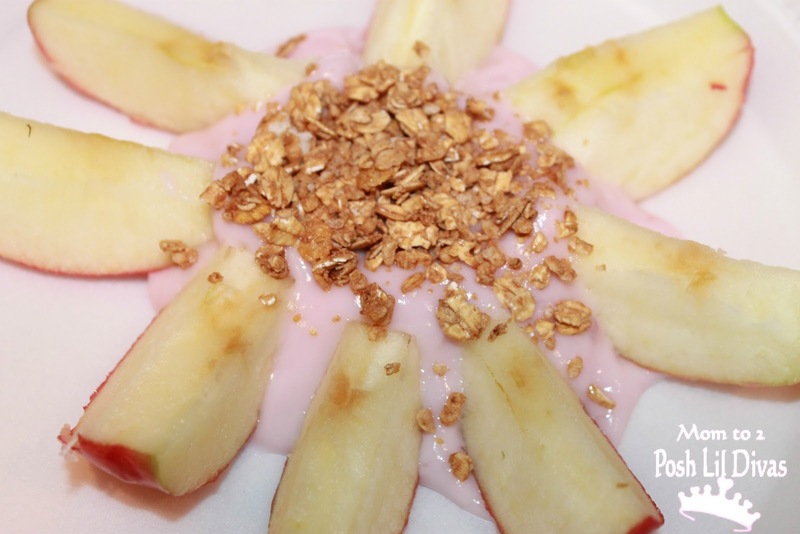 We cut up a few apples, arranged them on a plate and added our favorite yogurt and granola right in the middle for dipping. It was the perfect snack and my personal favorite. I love dipping apples. The final fun snack we prepared together were the Fruity Twirls. 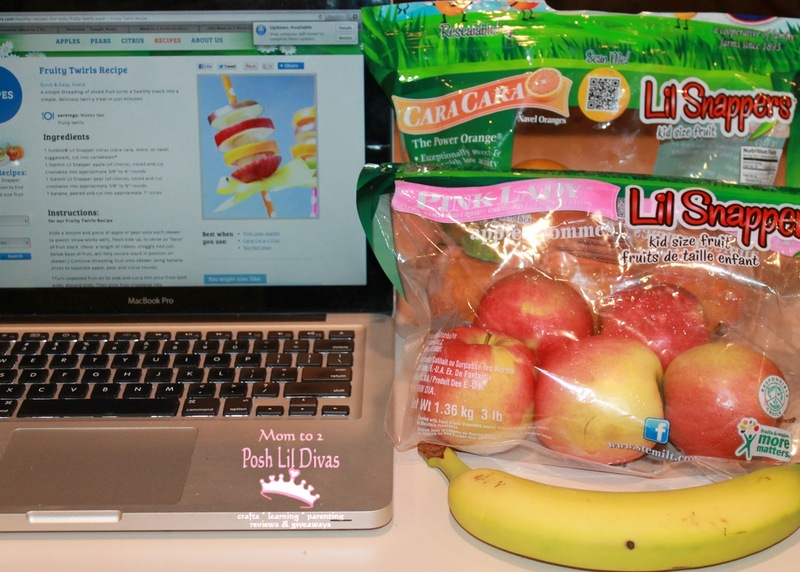 We were able to use some of our favorite fruits for this fun and easy snack - Cara Cara oranges, Pink Lady Apples and bananas. It would have been great to add strawberries too but we didn't have any on hand at the moment. The Lil Divas enjoyed these twirly fruit kabob snacks. It's an easy way to have a fun mix of fruit and it can even be eaten on the go which is important for us because we spend lots of time on the go and in the car during the week. 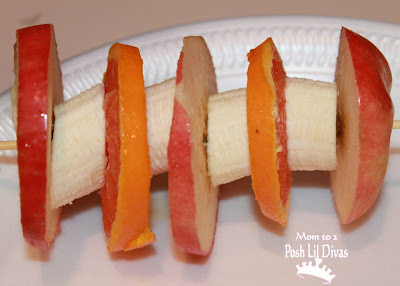 These would definitely make a fun after school snack for hungry kids. I used 1 apple, 1 orange and 1 banana and both girls were able to enjoy a Fruit Twirl and mama enjoyed the leftovers. 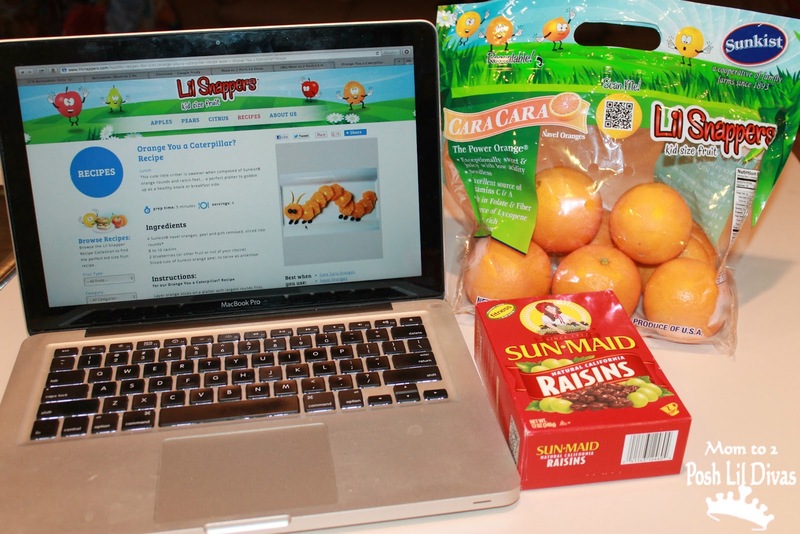 Want more information on Lil Snappers Kid-Sized Fruit? Lil Snappers is currently available in Jacksonville, FL, New Orleans, Louisiana and North Carolina. They are sold at the following locations: Publix, Rouse's, Winn Dixie, Ingles Super Markets, Harris Teeter Super Markets and C&S Wholesale Groceries. Do you and your kids have fun with food? 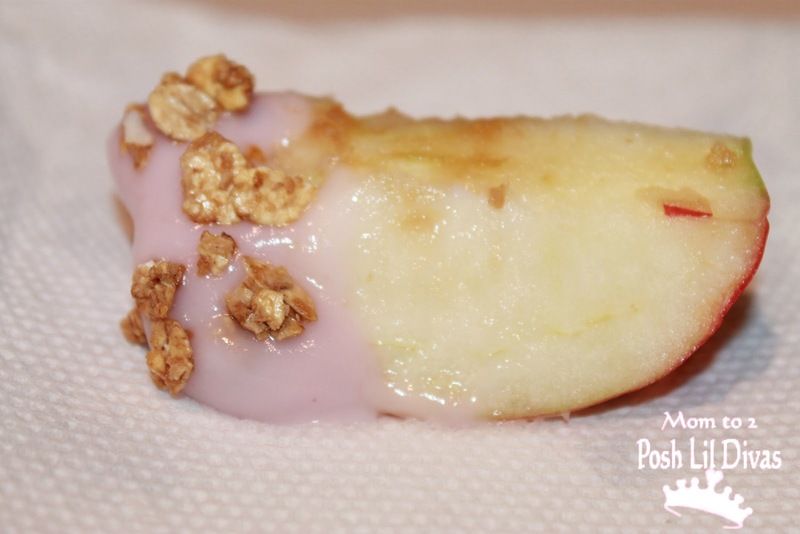 I'd love to see your fun snack ideas. 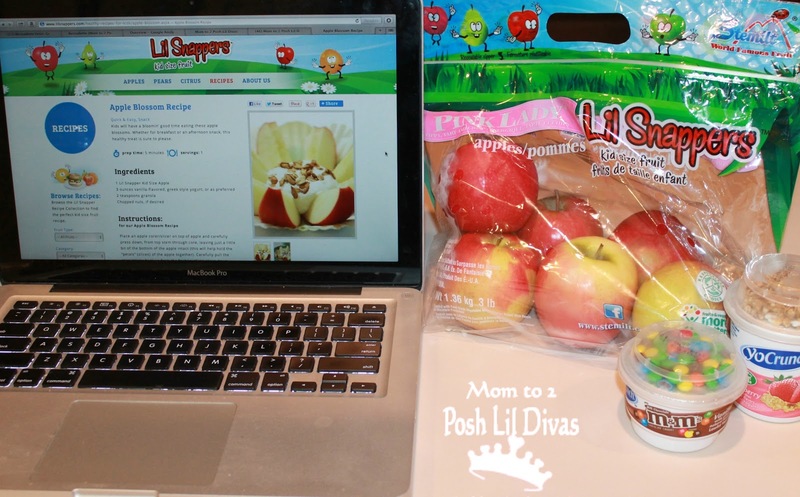 We are always looking for more snack ideas that we can prep and enjoy together. check out my Fun Food for Kids Pinterest board. Disclosure: I participated in a campaign on behalf of Mom Central Consulting for Lil Snappers. I received product samples to facilitate my review as well as a promotional item as a thank-you for participating. All opinions expressed are my own. Ooh really good to make food more fun for the kids! Great post. These are so cute! 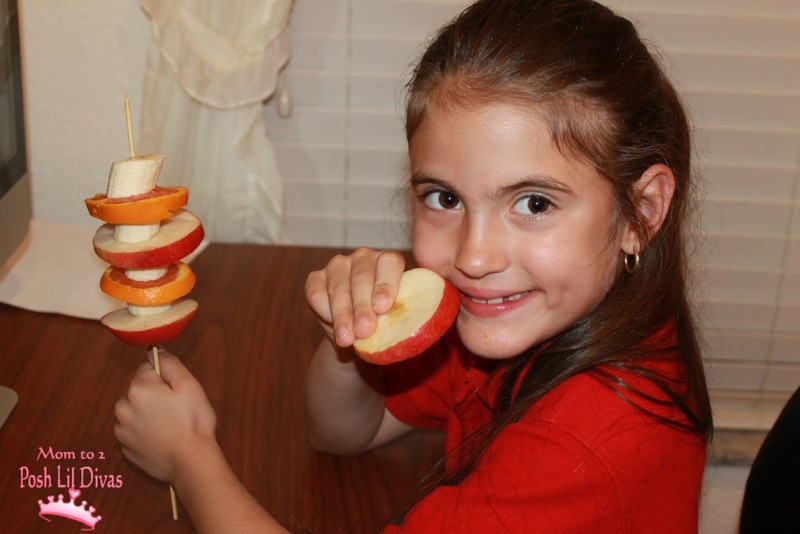 What a great way to get kids more interested in healthy food! Love it! We are all about healthy snacks here too. 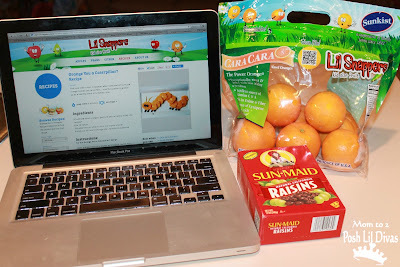 My kids would love the fruit twirls and Caterpillar snacks:) Thanks for sharing. Those are adorable and I think Lil Snappers would really help speed up my morning routine. Pinned! Love these snack ideas, Bern! 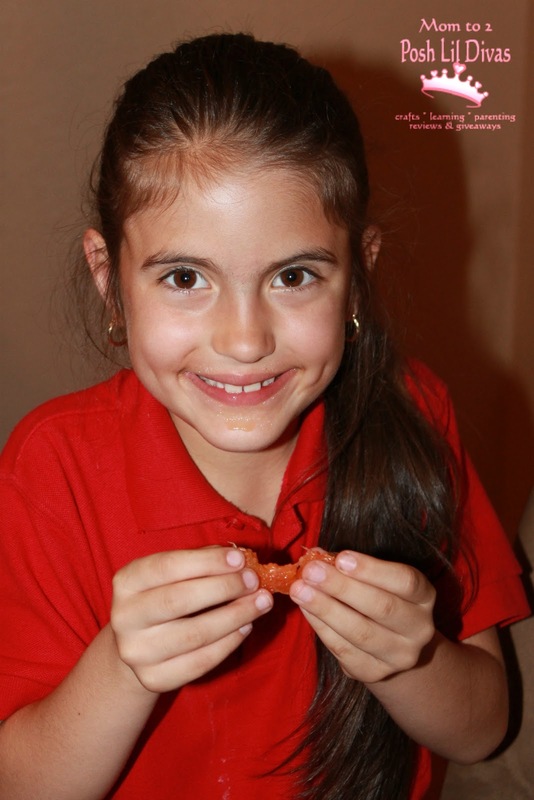 I think making food fun really does help kids want to eat. Great ideas. My kids always love anything on a stick! I love the caterpillar! Off to raid the fridge. Love the idea of kid sized fruits! 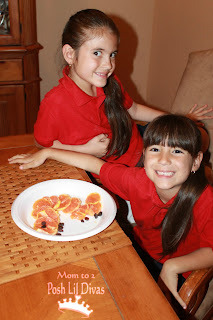 Though the way my kids eat fruit they'd probably be doubling up :) hehe. The fruity twirls look num num nummy! Never heard of Lil Snappers before. Will have to look for them next time I'm at Harris Teeter! 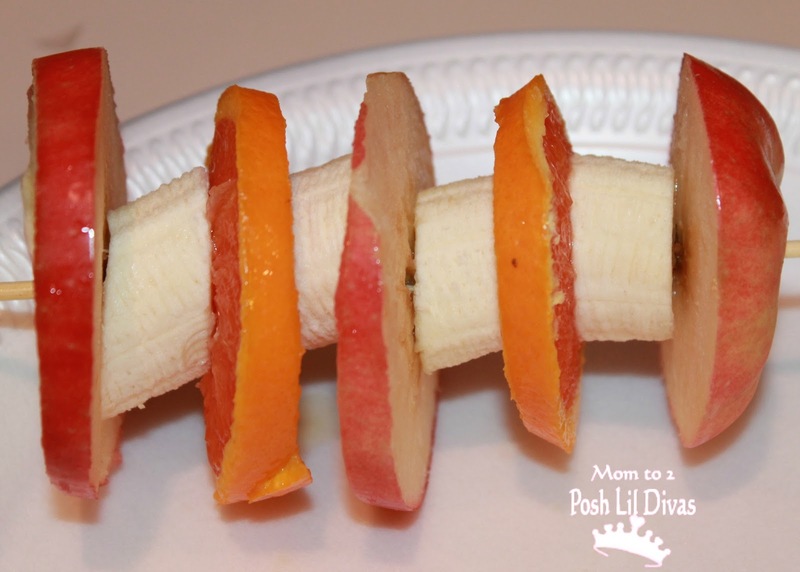 I love the food ideas, will certainly keep my kids entertained and, healthy too.